Monkey and Squidge: Thank goodness its FRIDAY! Wow what a week, I've been so busy everyday, if I've been in the house longer than an hour at the time I was lucky… don't get me wrong I'm not complaining but I am I little daunted by the fact that I now only have 2 monkeys left! Now is the time to panic… other than my niece's bag I have no other presents for my family! 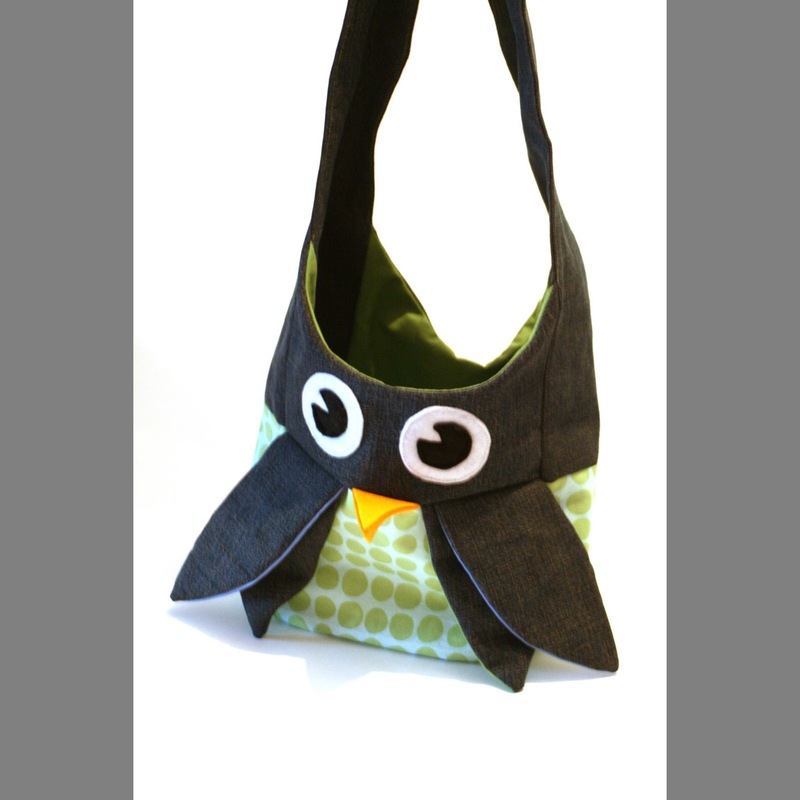 I'm thinking of making the same bag but without the owl/penguin embellishments for my slightly older niece… and I'm sure a few of my nephew and nieces would love a sock monkey or a sock snowman – I know this because a few have asked! I photographed my owl/penguin bag properly today and it now has a popper closure on it. I love this bag, I am going to have to make one for myself without the face! So will I get any more sewing in before christmas! I'm hoping so but the ironing pile is getting higher and higher! Problem is that my head is spinning with ideas at the moment and ironing is not an outlet for my creativity… that's my excuse anyway!